Phuket safari and eco-tours, it's the great opportunity to see how well-trained elephants can be by our professional staffs. 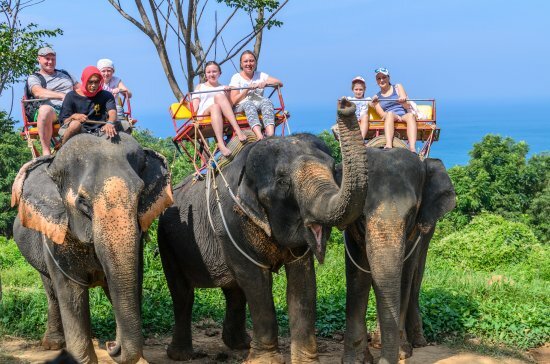 Riding on elephant's back is the highlight of the trips while you can enjoy the beautiful scenic of Thailand's tropical jungle and small waterfalls. Closer touch with tropical trees, plantations, and beautifully colour birds and wildlife as you trek along the mountain paths with your friendly elephant near small streams. 07.15Am Pick up from hotel and start from sightseeing beaches. Visit big Buddha, located on top of Naka mountain Phuket'sBig Buddha is one of the island's most important and revered landmarks. 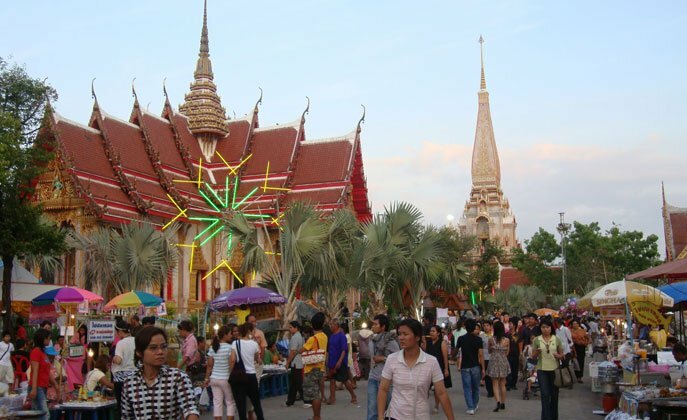 Wat Chalong, one of the most famous and long history temple on the island . - All admission fees as mentioned in the program. - Transfer from / to hotel. Note : - Our program will not be held responsible for any changes made to the program due to the weather,rain coditions , or any other reasons that may modify the program, changes are made for the safety and comfort of all the guest's Base on the above no refund can be given.